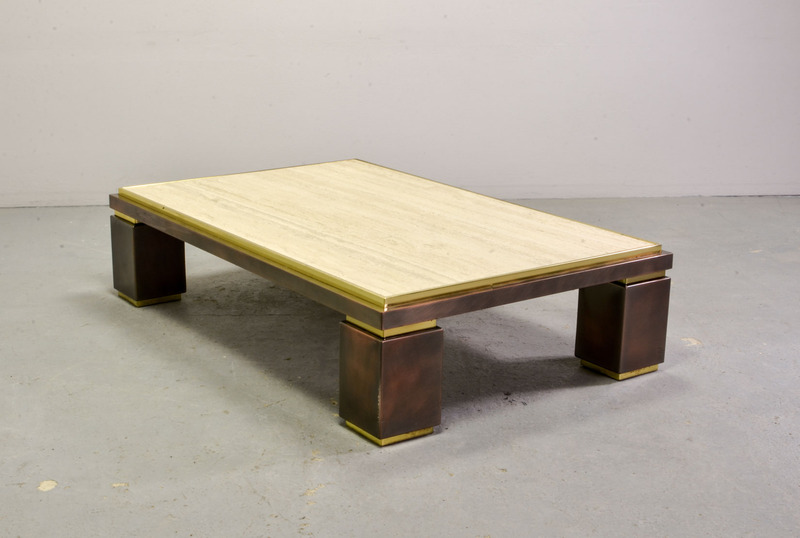 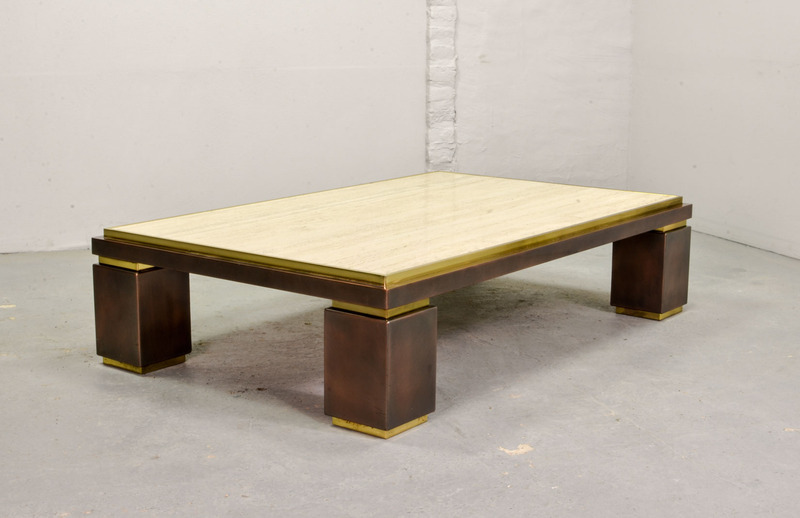 Mid-century design large rectangle travertine coffee table Dewulf Selection. 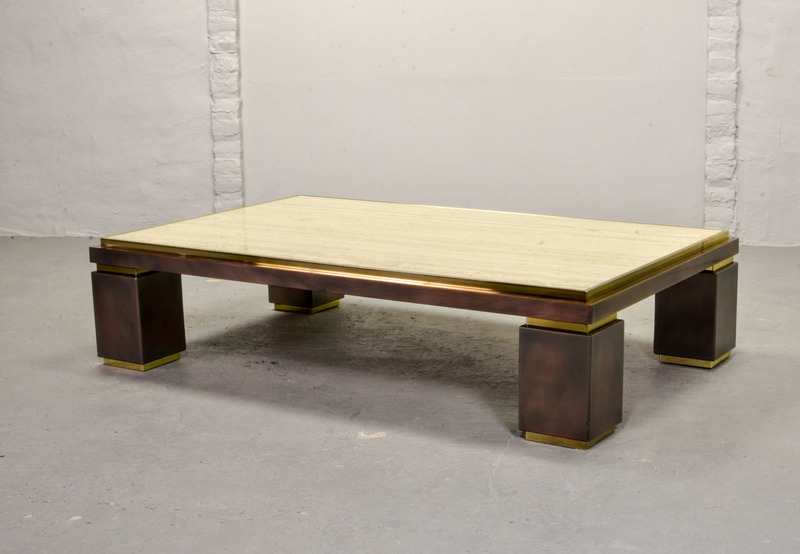 Manufactured by Belgo Chrome in the 1970s. 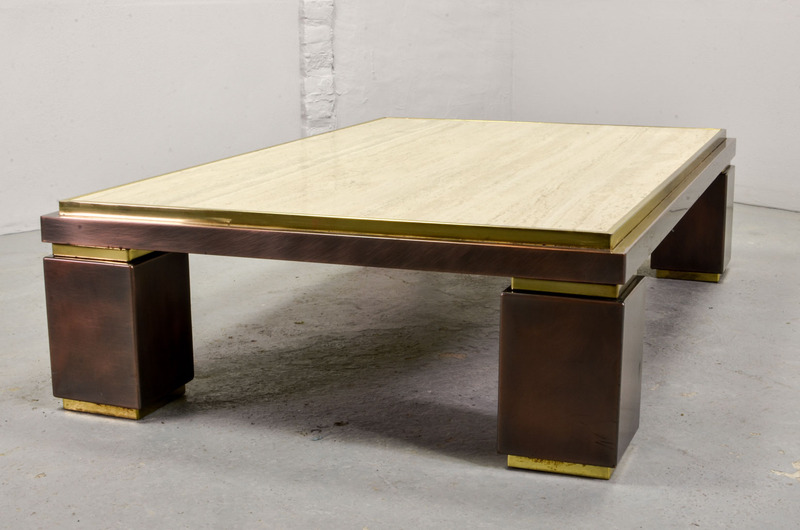 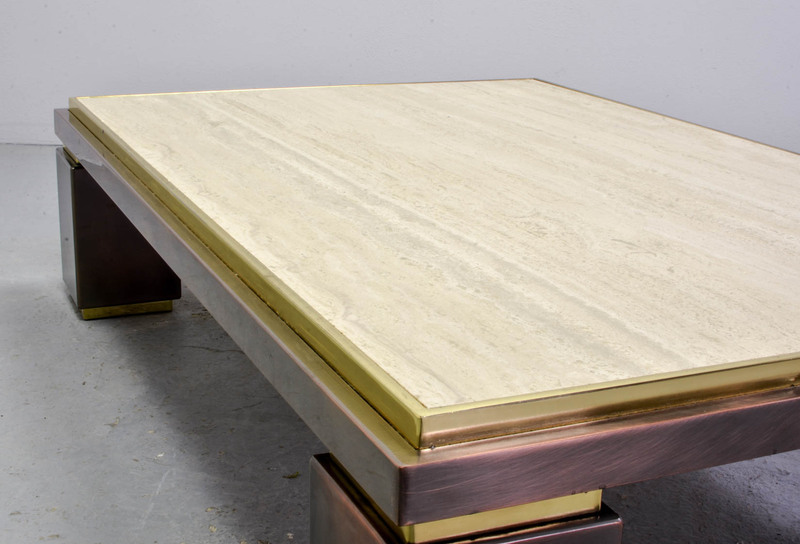 Brass and copper look frame with travertine top. 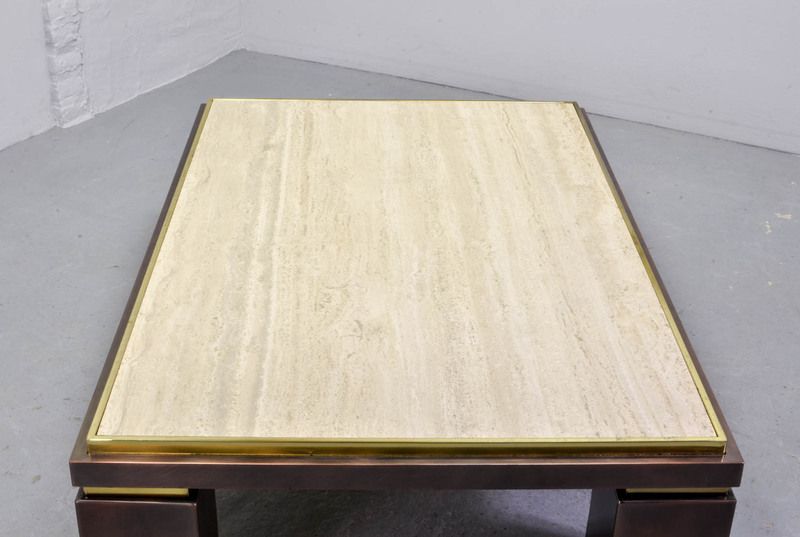 Table remains in good vintage condition with some minimal signs of wear consistent its age and use.